Database Financial Services Principals | Database Financial Services, Inc.
Bob Lovell, is a 45 year veteran of the Financial Services Profession and President of Database Financial Services Inc., located in Naples, Florida. Bob has been active in servicing the needs of public employees since 1982. Bob Lovell has provided Retirement Informational Seminars for public employees throughout the state of Florida since 1996. 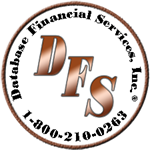 Database Financial Services, Inc. is a corporate member of the Florida Fire Chief’s Association, the Florida Fire Marshall’s Association, F.A.S.D., FCCD, and Florida Police Association. Mitch Mann is a nationally known speaker and educator focusing on Retirement Strategies for Public Employees. Since 1982, Mitch has worked with municipal, state, county and federal employees in over 37 states with regards to education and implementation of retirement strategies. Specifically in the state of Florida, Mitch has been a guest speaker for several organizations, such as the Florida Sheriff’s Association (FSA), the Florida Council on Crime and Delinquency (FCCD), the Florida Department of Law Enforcement (FDLE) the FBI National Academy, Florida Fire Chief’s Association, and the Florida Fire Marshals and Inspectors Association. Mitch Mann, Senior Vice President of Database Financial Services, Inc. has had a 34 year association with Bob Lovell, President of Database Financial Services, Inc. Through this association, Mitch has been able to help people in the public sector achieve their retirement goals through individualized planning, based on their personal objectives and goals.